National retailer aiming to push buttons this holiday season. JCPenney is pinning hopes of a holiday sales turnaround on Black Friday and a new promotion that's pushing buttons. Editor's Note: This article was first published in November 2012. Beleaguered Plano-based jcpenney is pinning hopes of a holiday sales turnaround on Black Friday and a new promotion that's pushing buttons. Literally, buttons. Like the ones you pin on your shirt. 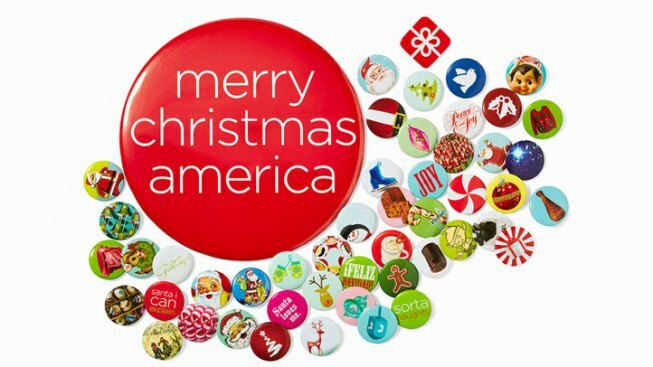 The store plans to give out more than 80 million buttons to customers at jcpenney locations with no purchase required through Christmas Eve. Those buttons will have unique codes customers can enter online that give a one in four chance to win a gift from the retailer. For Black Friday, the retailer is offering 100 vacations to American tourist spots like Yellowstone and New York City. Gift cards, coupons, and even merchandise rounds out the possible gift list. More than 1,100 stores will open at 6 a.m. on Black Friday to offer what jcpenney is calling "its only sale of the year." "Black Friday is America's greatest shopping tradition and we're celebrating the occasion with our only sale of the year," said Ron Johnson, chief executive officer of jcpenney, in a press release to investors. "All day long, customers will find some of our lowest prices ever and the chance to win amazing gifts, including once in a lifetime trips to great American destinations. It's our way of kicking off the holiday season and saying, 'Merry Christmas, America!'" Think back, if you will, to February, when jcpenney planned to drop the hundreds of yearly sales for a "fair and square" pricing plan -- only to modify it in August after sales plunged. The sales continue to drop for the Plano company, which lost 26.1 percent of sales in just the last quarter. Now analysts have the company's turnaround plans taking "years" while investors are dropping out and stock rating organizations are pushing the stock into junk territory. So will shoppers come out for the "only sale" on Black Friday and give the retailer the boost they need to keep a turnaround going? Stores open at 6 a.m. Nov. 23 for those who want to find out.